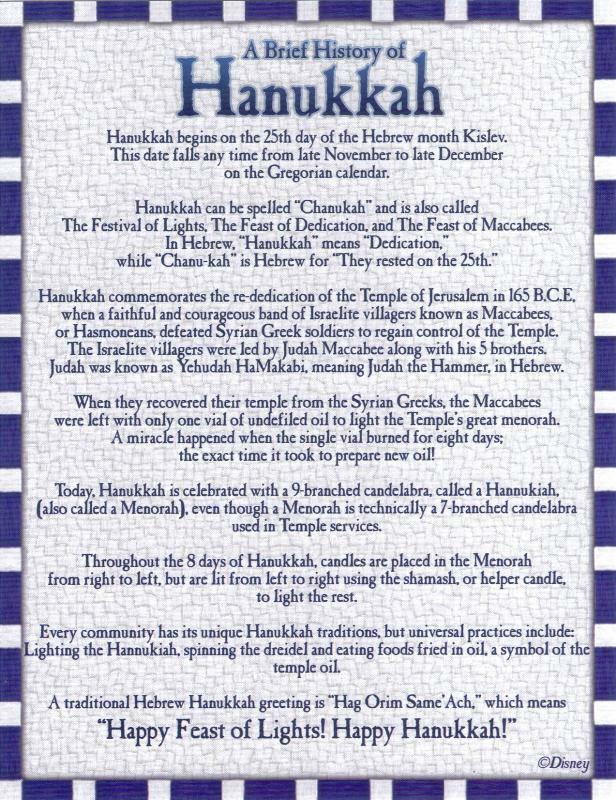 Chanukah begins tomorrow, Saturday, December 8. 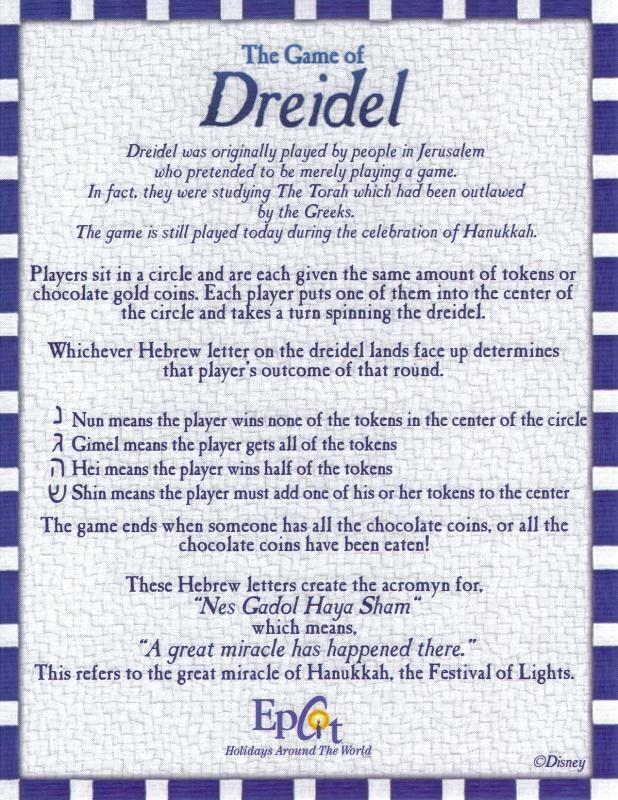 As part of Epcot’s Holidays Around the World, there is a fantastic display celebrating Chanukah inside The American Adventure. 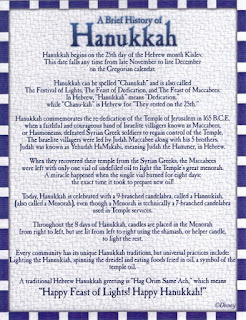 Unlike many of the storyteller displays around World Showcase, however, the Chanukah experience has a take-away card to remind guests of what Chanukah really means. 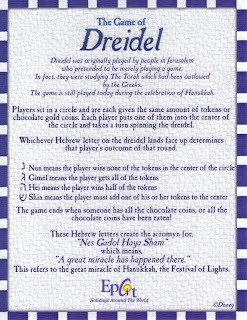 On the back of the card, there is also the story of the dreidel, which is a great way to introduce the story of Chanukah to your family, should you desire to do so, tomorrow.